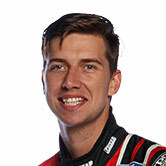 Young star Chaz Mostert will be keeping out of the off-track biff and barge that has been making headlines in V8 Supercars. The 2014 Supercheap Auto Bathurst 1000 winner says the incredibly close racing means V8 Supercars is the best it's ever been, and with every point meaning so much, it's understandable to see drivers get fired up over incidents when they come off second best. However, the 23-year old believes clashes in the garage - like the blow-up between Will Davison and James Courtney in Tasmania - make it harder to concentrate on racing and potential changes that need to be made to the car across a race weekend. "[If] you fight with another driver and that, I feel if you waste too much time on that you're not focusing enough on your racing and getting back on your feet and trying to catch up the points you've lost," Mostert told v8supercars.com.au. "Every driver to themselves - it gets emotional in the cockpit and everyone's aware of that - but it's just how you handle yourself and what you want to get out of it, I guess." While Mostert thinks the outpouring of emotions between drivers is positive for the sport, it's something he'd prefer to stay away from. "I think it's fantastic for our series [to see reactions like Davison's]," he said. "The punters want to see crashes and fights going on in pitlane, it's good to have that spectacle. But in saying that, some drivers want to go out there, finish every race and do the best for their team, instead of fighting." 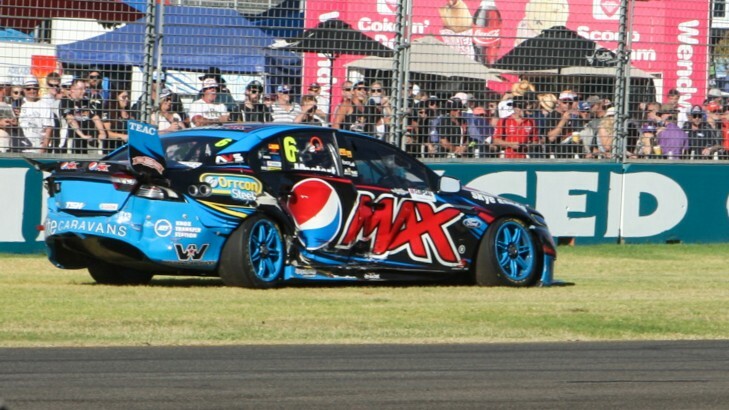 The Pepsi Max Prodrive Racing (Australia) driver was involved in a high profile incident in opening event the Clipsal 500, and while the Stewards cleared him of any wrongdoing, it had big ramifications on his Championship standing. Current Champion Jamie Whincup and James Moffat were also involved, but Whincup was not worried and even complimented Mostert post-race, calling him a good guy and good mate. 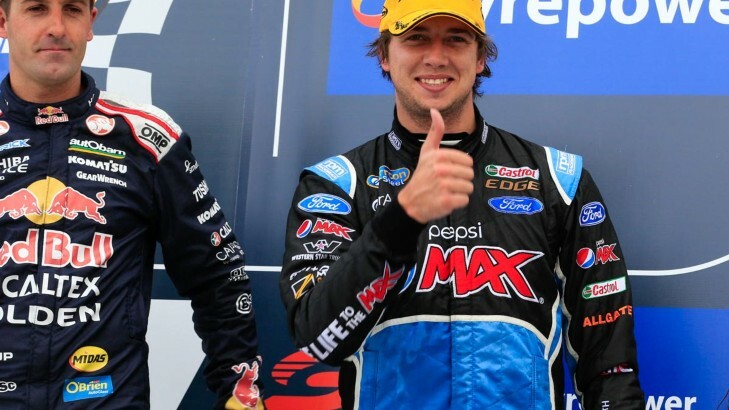 Mostert said last week that he didn't have friendships with many drivers other than his teammate Mark Winterbottom, but had nothing but positive words about the six-time Champion, despite Whincup's long-standing rivalrywith Winterbottom. "I haven't really spent that much time with him [Whincup] away from the track because he lives in Queensland and I live down here [Melbourne] - but saying that, every time I see him he's one of those guys you can actually get along with quite well," Mostert said. "It's a credit to him he can have that affect on other drivers. In my eyes, probably a lot of drivers are [just] the guy you want to beat. But he's a gentleman - he's fast, he races fair, he races hard and when you have an accident on track with him, you don't just go and point the finger straight away, you [have to] know everything that's happened." Mostert predicted teammate 'Frosty' would be in the fight with Whincup for the Championship again this year and hopes to improve his own position in the points at the upcoming Perth SuperSprint - he sits tenth after finishing second in Tasmania's big points Sunday race. The new-for-2015 FG X Falcon has already proven a positive step forward, but Mostert is keeping his expectations in check, with more consistent results the goal after just two points rounds. "We're trying to learn as quick as possible," he said of mastering the new specification Falcon. "[With] a bit of consistency, in Frosty's case we should be a threat for the Championship, and for me hopefully I can run at the front a bit more consistently, get some more podiums and a couple of wins." Mostert won the 200km Sunday race at Barbagallo Raceway last year - his breakout win with the factory Ford outfit - and debuted there with DJR the previous year, earning a top 10 result and cementing his stead as a future star. Tickets are available now for the Perth SuperSprint, running from May 1-3.